Dallas-based Trammell Crow Co. and New York-based Clarion Partners have broken ground on the second phase of Fallbrook Pines Business Park in northwest Houston, according to an April 9 press release. Phase II consists of two speculative industrial buildings totaling 660,073 square feet, which are expected to be complete in November. Houston’s Powers Brown Architecture designed the Class A cross-dock buildings, and Katy-based Rosenberger Construction is the general contractor. Faron Wiley and Joseph Smith, both senior vice presidents with CBRE’s Houston office, are the leasing agents for the project. One building will be 291,606 square feet, the other will be 368,467 square feet, and both can be divided. They will feature 32-foot clear heights, 52-foot-wide column spacing, extra trailer parking/outside storage, ample car parking, wide truck courts and ESFR sprinkler systems. The 127-acre Fallbrook Pines Business Park is near the intersection of Beltway 8 and state Highway 249 on Fallbrook Drive. Trammell Crow and Clarion broke ground on the 709,000-square-foot first phase in late 2014, and it was completed in October 2015. That phase was the largest speculative industrial project completed in Houston in 2015 and was named a finalist in the industrial category of the Houston Business Journal’s 2016 Landmark Awards. Currently, phase I is 100 percent leased to seven tenants. Illinois-based Serta Inc., a mattress and bedding company, signed a 268,482-square-foot lease at Fallbrook Pines in the second quarter of 2016. It was the second-largest industrial lease inked that quarter, according to JLL. Fallbrook Pines targets a variety of tenants, including consumer goods distributors, e-commerce companies and light manufacturers. There are still 18 acres within the park for a build-to-suit project or future phase. 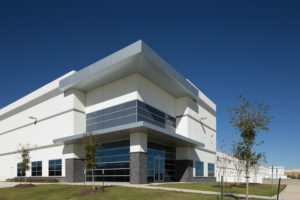 “We are very pleased with the success of the first phase and are confident tenants will continue to be attracted to the park’s true northwest location, proximity to major highways, and distinguished business park environment highlighted by unique architecture, new roads and mature trees,” Jeremy Garner, a principal with Trammell Crow’s Houston office, said in the press release.